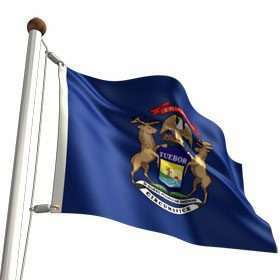 Michigan’s recent hearing regarding the possible legalization of onlne gambling in the state was accompanied by the introduction of two new Michigan House bills as well. Both bills were introduced by State Rep. Brandt Iden (R), who also chaired last week’s hearing before the House Regulatory Reform Committee. Iden’s bills aren’t likely to be brought to a vote in the near future, yet it’s still worth noting what’s inside the most important of the two bills, House Bill 4926 (H4926). That’s the primary vehicle for the House version of online-gambling legislation, and Iden himself described it upon introduction as a “streamlined” version of similar online-gambling legislation previously introduced in the state’s Senate. The bill, which is titled the “Lawful Internet Gaming Act,” cites the landmark September, 2011 opinion offered by then US Attorney Eric Holder as the progenitor for the legislation. As most of our readers already know, Holder’s controversial legislation clarified that the 1961 Wire Act applied only to sports betting, and thus opened the door for individual states to consider the legalization of all other gambling forms that could be conducted over “wires” – originally meant as telephone lines but more modernly construed as the Internet. Iden’s H4926, similar to regulatory bills offered in other states, would limit the granting of operator licenses to already existing land-based casinos in the Wolverine State. That includes both corporate and tribal entities; Michigan has nearly two dozen casinos in total. … (2) An internet wager received by an internet gaming licensee is considered to be gambling or gaming that is conducted in the licensee’s casino located in this state, regardless of the authorized participant’s location at the time the participant places the internet wager. (3) An internet wager received by a federally recognized Michigan Indian tribe is considered to be gambling or gaming that is conducted on Michigan Indian tribal lands located in this state, regardless of the authorized participant’s location at the time the participant places the internet wager. (4) Only an internet gaming licensee at its casino may aggregate computers or other internet access devices in order to enable multiple players to simultaneously play an internet game. Except as provided in this subsection, a person shall not aggregate computers or other internet access devices in a place of public accommodation in this state, including a club or other association, in order to enable multiple players to simultaneously play an internet game. As one can see, Iden’s bill attempts to please the state’s existing casino interests, several of which have expressed trepidation over the possibility of online action cannibalizing their existing land-based traffic. Though that fear has largely been debunked, it remains one of the rallying points for those casino forces actively against expansion into online gambling. Iden’s bill also tosses an extra bone to the state’s tribal interests in exempting those casinos from having to cede ultimate regulatory control to the state’s gaming division, in parallel with Michigan’s live-casino framework. The licensing fees called for within H4926 are nominal. Applicants would have to pay an up-front application fee of $100,000, with an additional $200,000 due upon license approval and granting. The licenses themselves would be good for five (5) years, with an ongoing fee of $100,000/year due to keep the license in good grace. Platform (software) providers and third-party service vendors are also included in the fees section. Platform providers would be assessed a $100,000 up-front/approval fee and would then need to pay $50,000/year thereafter. For vendors, it’s $5,000 up front and then $2,500/year after that. Taxation is always a major issue. Iden’s H4926 sets that figure at a flat 15% of gross gaming revenue (GGR). There does not appear to be any offset of application or licensing fees against that tax, which would be payable on a monthly basis to the state. The rules may include only things expressly authorized by this act, including all of the following: (a) The types of internet games to be offered, which must include, but need not be limited to, poker. Expect that to be amended or adjusted in a future update, should H4926 ever move down the road toward a vote. As for participation, it’s for people physically within the state of Michigan, aged 21 or older, although the language does call for the possible inclusion of customers from other formally-licensed US states (Nevada, New Jersey Delaware). No surprise there regarding the age – and another provision requires each platform to include age-verification and geolocation procedures, but accepting play from other officially-legal US states without a compact in place might make for an interesting debate down the road. As we’ve mentioned, any such bill in Michigan is a long way from being an approved reality. 2019 might be a likely date, and to some extent, it’s going to depend on what happens in other states considering online expansion such as Pennsylvania, New York and Illinois.